JEOPARDY! Special Teachers Tournament With Celeb Photos! Tonight’s special episode of “Jeopardy!’ will feature the FIRST-EVER Teachers Tournament. During the tournament, contestants will get to choose a category of old high school photographs of celebrities. The winner of the two-week tournament will receive $100,000 and a guaranteed spot in the â€œJeopardy!â€ Tournament of Champions airing later this year. 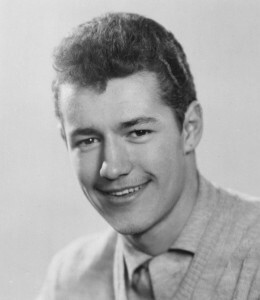 To the left is a photo of “Jeopardy!” host Alex Trebek from high school. Tune in tonight, Wednesday, May 11, to see this special â€œJeopardy!â€ category featuring photographs of celebrities from high school.